Generally at this time of year, our minds are less focused on our cars and more focused on work, school, and getting back into routines after a summer of relaxing and vacationing. 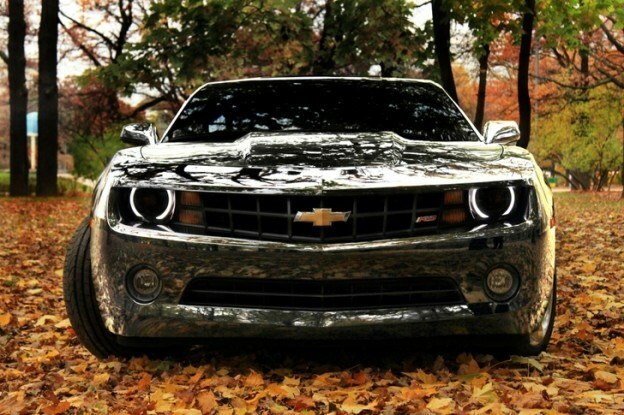 However, at Budds’ Chev, we know that fall maintenance is not to be overlooked. When the season changes, remember that FALL service is important, too. The fluctuating temperatures of Fall can affect the viscosity of some important fluids like the transmission fluid and the trans-axle fluids. Your fluids will be checked during your regular scheduled maintenance. Today, the majority of cars out there have a cabin air filter that goes along with the heating and ventilation system. This allows cleaner air inside the vehicle, and can be a major help around this time of year for those with allergies. Aside from all the dusty air in the summer, when you use your air conditioning the filter gets moistened and can cause a musty smell. Next time you’re in for service, it can be checked and replaced if necessary. With the chilly weather setting in, no one wants to get stuck with a dead battery. We will provide you with a free State of Health report on your battery, usually done with your oil change or regular scheduled service. Did you know? Your tire pressure will change when the temperature gets to 7 degrees or below. Proper tire pressure is important because it provides you with a longer tire life, a more comfortable ride, and better fuel efficiency. Fall might also be the time to start thinking about winter tires. -Did you go on a road trip this summer? Get rid of the cookie crumbs and come for a Fall Detail, your car will thank you! We offer packages from just a vacuum and wash to a complete interior shampoo and exterior polish, and anywhere in between depending on your needs! -By any chance, did you hit 100 000 km from all the driving this summer? If so, it might be time to come in and have your spark plugs replaced!